Located in the heart of downtown on the banks of the Spokane River, The Centennial is a full service hotel focused on providing unique and memorable customer experiences. 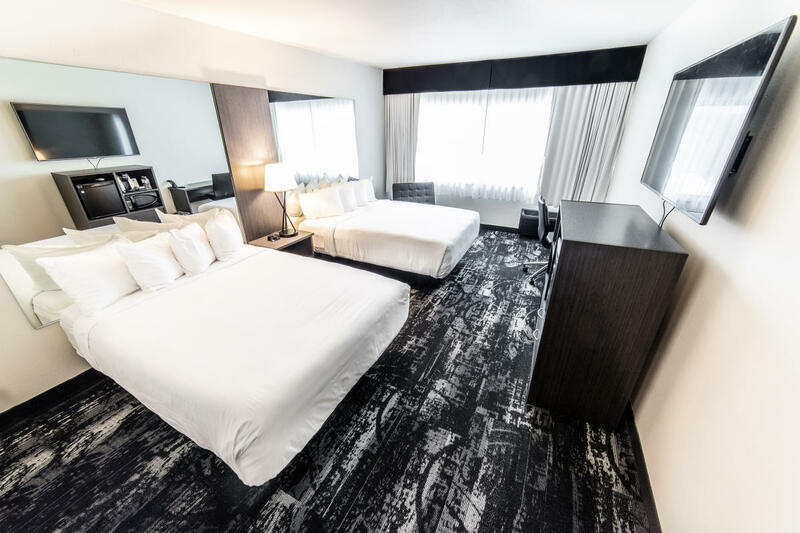 We are the closest hotel to the Spokane Arena, walking distance to Convention Center, U-District and downtown shops and restaurants. 401 guest rooms including 24 suites, full service restaurant, bar and grill available along with resort style amenities such as complimentary bicycle rentals, and both an indoor and outdoor pool. The Centennial features 30,000 square feet of space including Spokane's only roof top ballroom; The Skyline Ballroom. 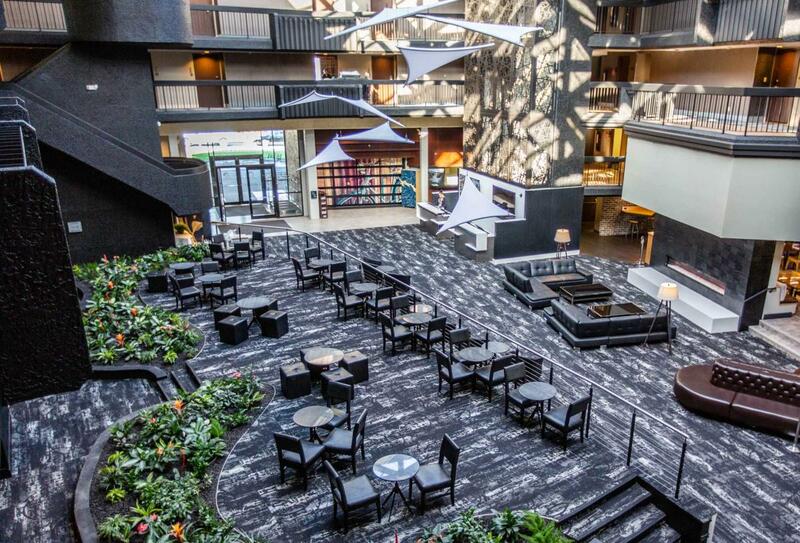 This 4,000 square foot space offers 270 degree panoramic views of Spokane and is an ideal location for social events of up to 300 people. In addition, we offer a 9,800 square foot ballroom with views of Washington Blvd. and the Spokane River accommodating up to 1,000. Complimentary parking and complimentary wireless internet throughout. 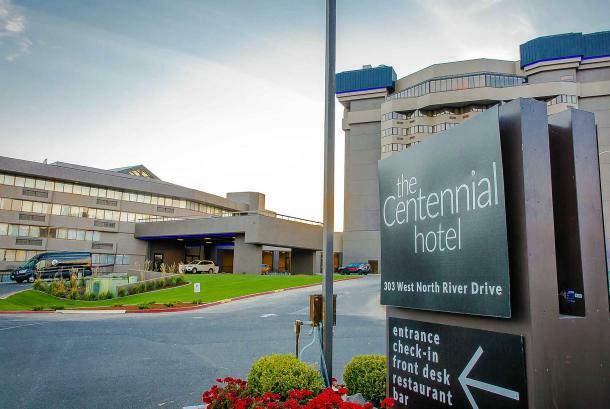 Description On the banks of the Spokane River and at the edge of Riverfront Park, Centennial Hotel Spokane is the ideal location to experience downtown Spokane’s biggest attractions. The Spokane Convention Center, INB Performing Arts Center, business district and all the best shopping and restaurants are just across the scenic footbridge looking over the river. We are the closest hotel to the Spokane Arena, within walking distance of Gonzaga University and just 10 miles from Spokane International Airport. We are Spokane’s largest full-service convention facility located on the banks of the Spokane River. Our meeting and banquet facilities include 20 rooms with 26,261 sq. ft. of flexible space, including 18,261 sq. ft. of banquet space and 8,000 sq. ft. of exhibition space. 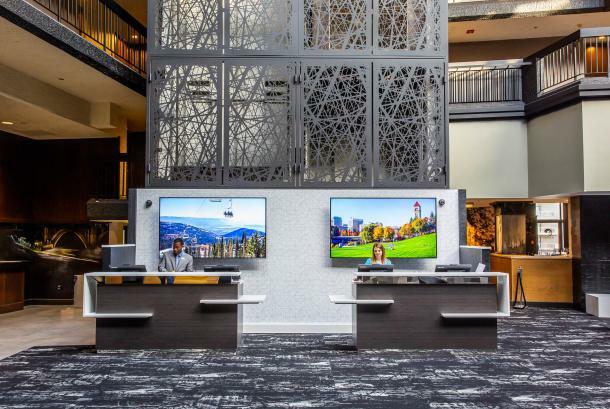 Professional conference specialists are on site to take care of all your needs, including audio/visual equipment and full-service catering. 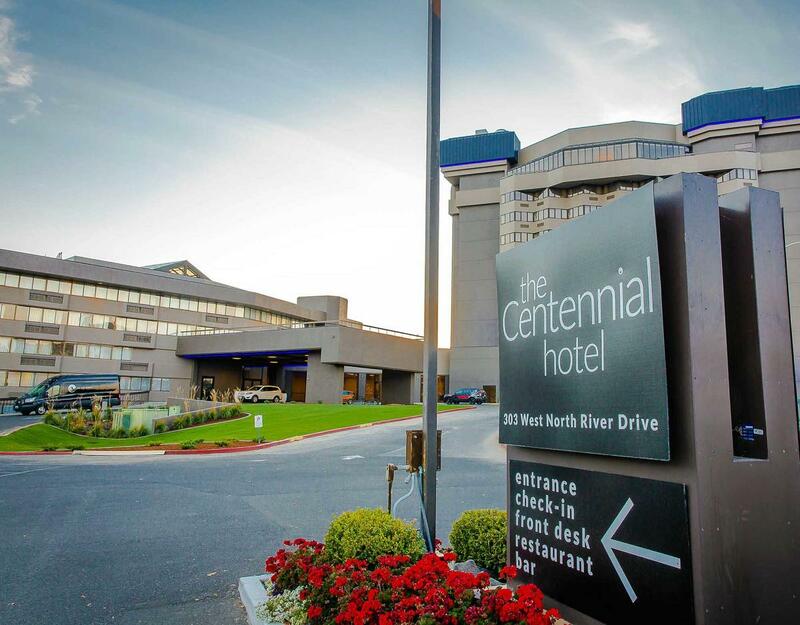 With our unique amenities and value rich offerings, the Centennial Hotel provides visitors an experiential stay in an environment that fosters creativity and adventure. As with all Worthy Hotels, our staff – from the front desk to banquets – are there to ensure that you receive the ultimate in customer service. Our guest rooms and spacious suites are some of the finest in the Inland Northwest, having all been upgraded to include hardwood flooring, wall mural and views of the Spokane River. For your dining pleasure, our restaurant offers a deck (open seasonally) serving breakfast, lunch and dinner. We provide a top-of-the-line fitness center, indoor pool, whirlpool, and for the summer months an outdoor swimming lagoon complete with a waterslide and waterfall.